Stay up to date without turning on the television. If all you look at when watching cable news is the ticker at the bottom of the screen, RSS Ticker is for you. This Linux and Windows application takes any RSS feed and gives you an attractive free news ticker on your screen, showing you the headlines you care about. By default it shows you BBC headlines, but the application can make use of any RSS feed on Planet Earth. Staying up-to-the-minute isn’t important for everyone, but if it is for you I highly recommend this app for the job. 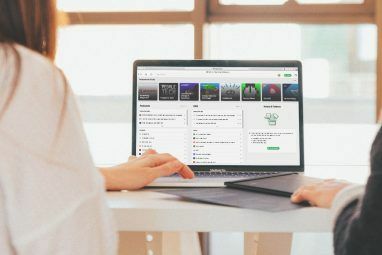 Last year we highlighted four good free desktop news ticker apps Four Really Good Free Desktop News Ticker Apps Four Really Good Free Desktop News Ticker Apps Read More . Some were specific to a certain news outlet, some were complex, but none combined the customizable simplicity of News RSS Ticker. 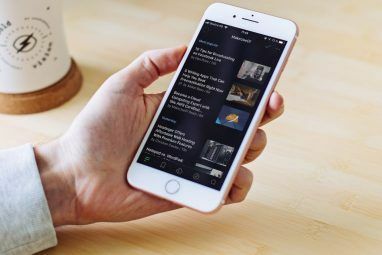 This application allows you to see the headlines from any news organization in real time, on your terms. By default the news is coming from the BBC, which isn’t an altogether bad source to start with. International news is always a good thing. As you can see, you can also restart the feed. This is good if you miss a particular story. Click a headline and your default browser will open, giving you access to the full story. This is nice if a particular headline grabs your attention. 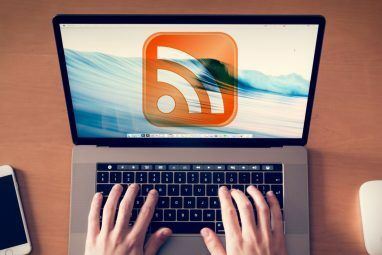 Want to open another RSS feed? You’ll find the option to do so in the menu. This is a great way to keep up with the latest news from a particular organization. It’s also worth noting that you can add text files to this ticker. If you’re looking for a hilarious distraction, I recommend downloading The Devil’s Dictionary, a hilarious satirical dictionary by author Ambrose Bierce. Although you could easily imagine your own uses for this functionality. Explore the settings to get a feel for what’s possible, but you can essentially make the application look however you want. Windows and Linux users should head on over to NewsRSSreader.com to download this application. Linux users will find Ubuntu/Debian packages by default, with other options lower down on the download page. Windows users will find the usual installation package, complete with multiple “Next” buttons. These kinds of free news ticker apps can be distracting, but can also be useful from time to time. Do you have a favorite use for applications like this? Share it below. Also feel free to recommend alternative applications for keeping up with the news. And this difference between Jim's site and TED is? @Jim: That's a really useful link. I hope you keep updating it. Jim, thanks for the input. I just might write this one up for you, Jim. It's pretty fantastic.